← Pfizer raises its bid for AstraZeneca – one last time? 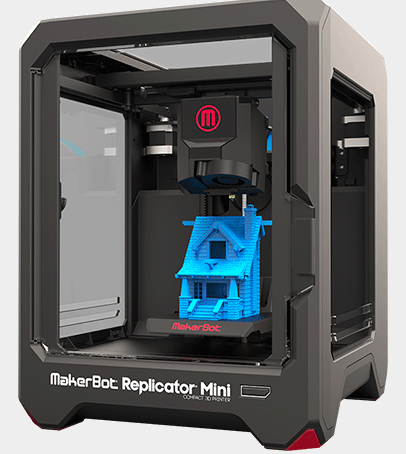 MakerBot‘s newest 3-D printer, the Makerbot Replictor Mini, started shipping yesterday. Employing fast and easy “One Touch” 3D printing, the Mini is a cost-effective solution for small scale prototyping or teaching kids about creating and printing in three dimensions. 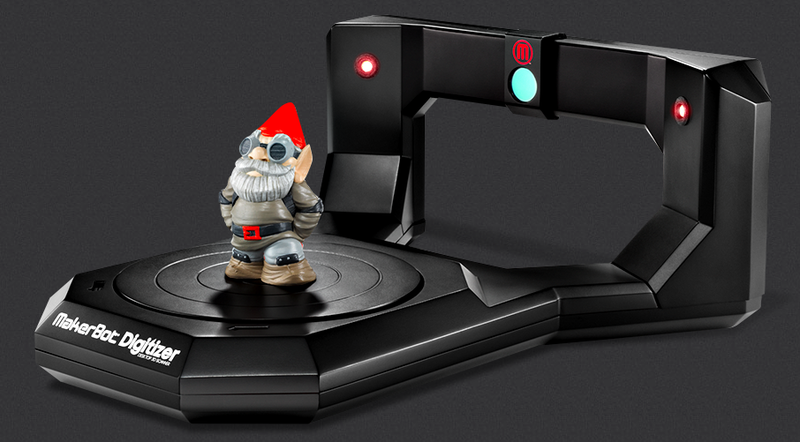 Makerbot also sells a small 3-D digitizer (seen below). Together you can capture 3D models, edit and manipulate them on a computer, and print them using PLA plastic. Total price tag is about $2,200 for both devices ($1375 for the Mini alone). Not exactly pocket change, but I predict that quite a few schools buy these as teaching tools. Rumor has it that MakerBot will soon be partnering with companies to sell licensed 3-D models of favorite TV and movie characters, which you can print in your own home. This entry was posted in 3-D Printing, Innovation and tagged 3D digitizer, 3D printing, MakerBot, MakerBot Mini. Bookmark the permalink. A word of warning. Makerbots 5th generation has a significant amount of known issues that cause problems within the first month of printing. The 5th gen has a completely new design, but the downside is the product was released with these known issues. So you may want to wait on purchasing one of the new models until the kinks are worked out.